Viacom18 ready to launch their 3rd Television channel for kannadiga viewers, Colors Kannada Cinema scheduled to start from 24th September 2018. This will be a 24 hour movie channel, this is the second south indian channel from the network this year after colors tamil. Around 450 films added to the library of new channel, this will be a different experience for the kannada television viewers. New movie channel from colors kannada will be available through all leading cable network and dth services. 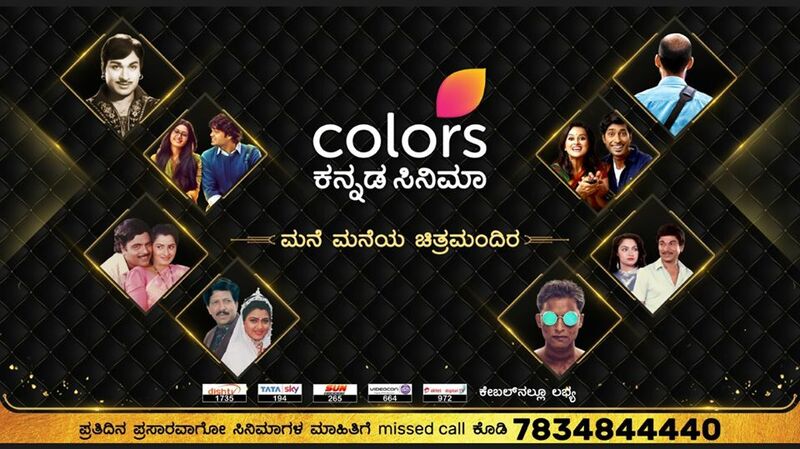 Colors Kannada, Colors Super are existing channel from Viacom18 for Karnataka. Viacom 18 takeover of ETV Kannada in 2015 and rebranding it as Colors Kannada, it’s ruling the industry now. As per latest barc trp ratings, colors kannada leading the charts. Dancing Star, the Kannada version of Jhalak Dikhla Jaa is coming soon on colors channel. Zee Kannada, Udaya TV, Star Suvarna, Udaya Movies etc are the other channels listed in top 5 List. Lakshmi Baramma, Shani, Puttagowri Maduve, Agnisakshi are listed in Top 5 Show charts. Udaya Movies from Sun Network is first in this genre, It’s Launched 2001 as Ushe TV and later rebranded. Star Suvarna Plus is another channel in this genre. Public Movies was the latest entry in Kannada Movie Channel List. As mentioned above above 450 + films added to the collection, this channel will air super hit films in different time band. Exact schedule of the channel is not available yet. we will publish the same here, we will also update about the availability of Colors Kannadiga Movie channel through different platforms. Stay tuned here more updates about television channels, upcoming serials, cast and crew, satellite rights etc. subscribe to us for latest news, follow us and Facebook and other social media profiles.